Coming and going and the annual Perth trip. | Where's Zoe now? Coming and going and the annual Perth trip. I’m writing this from Perth, where a cloudless day has turned into a breezy summer’s evening. I’m listening to the neighbour’s windchimes and the rustle of leaves. I’ve traded my winter coat and thick socks for a tshirt and skirt. This morning, I did a load of laundry and it dried within an hour or two of me hanging it outside. Earlier this evening I sat around with my family drinking Spritz Aperol. Sorry (not sorry) to my Northern Hemisphere readers for telling you all this. A hastily-taken plane window shot — it gives the general impression at least. I always find landing in Perth a surreal experience. I’m sure it’s partly the sleep deprivation — this year, I had Christmas in Munich with extended family which was super-fun but not sleep-conducive, then a day-long stopover in Dusseldorf on Boxing Day (more on that in another post), then Dusseldorf-Beijing-Singapore-Perth1. 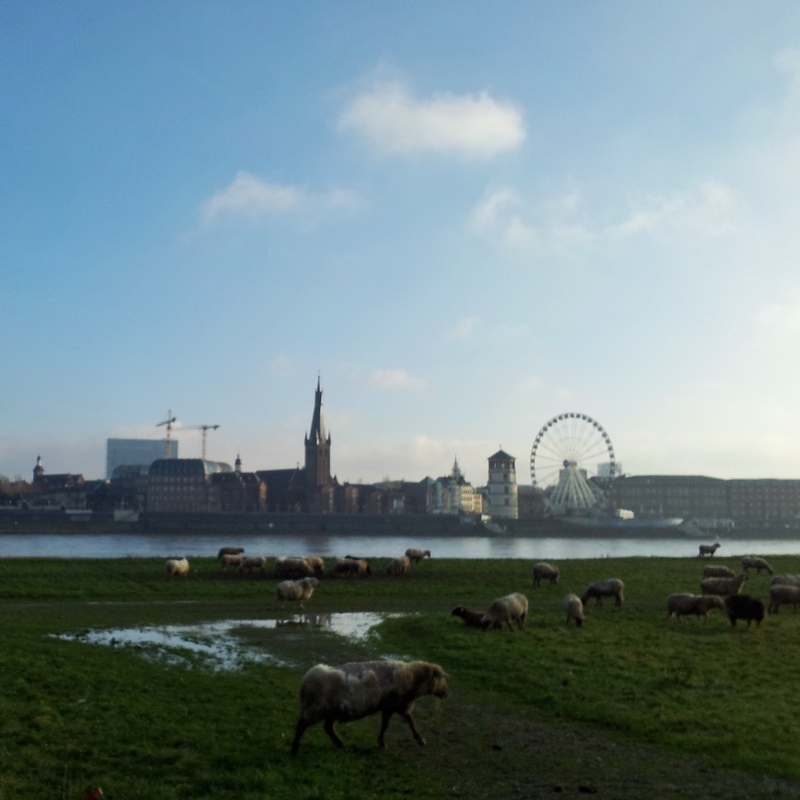 Perth doesn’t have sheep grazing on the banks of its river. Dusseldorf does. 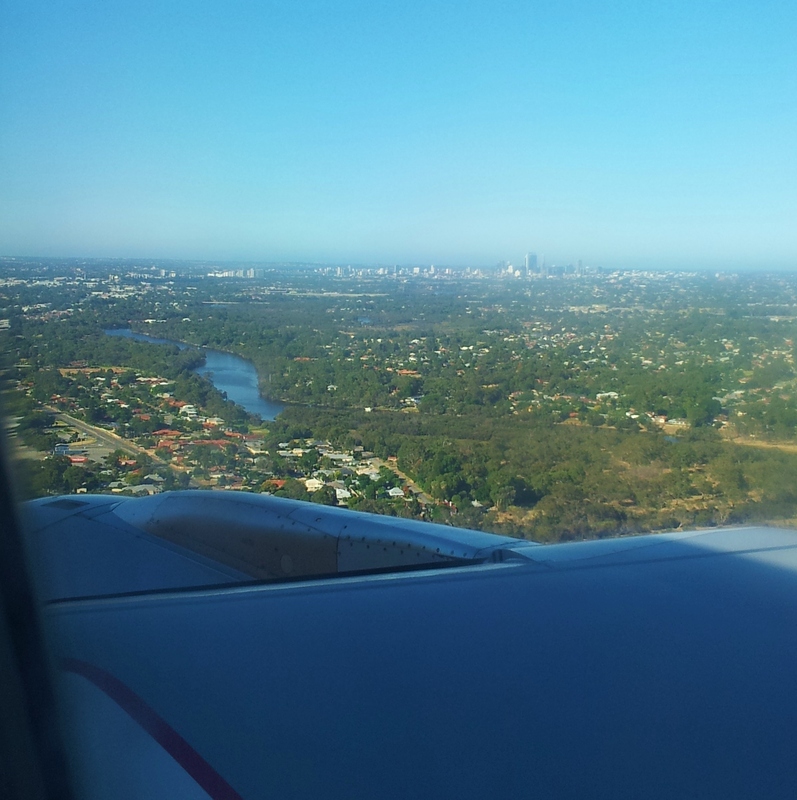 But landing in Perth is also weird because it has become something that marks the turning of the year, a point where time folds in on itself. Every year, I have a head-spinning moment of wondering if I’d ever really been away or if my life is Perth in late December/early January and everything else is a dream. Yes ok, the sleep deprivation definitely contributes to the literal dizziness of that feeling. But the annual cycle is real. Except it’s not quite a cycle. People have gone on living a year here while I’ve been living a year elsewhere. Friendships evolve. Places change. New buildings go up, others get knocked down. And even after living in Perth for years and years, and visiting regularly, there are still things I notice for the first time when I arrive again. This time, it was the smell. A warm dirt and eucalyptus smell, a smell which I instantly recognized as “Perth smell” even if I’d never realized it before. So for now, this coming and going is part of my life. I like it, even if it does make things more complicated. Like the immigration entry form. I am yet to decide whether I’m a “visitor from overseas, country of residence: Italy” or an “Australian returning to Australia”. Can I be both? Pro-tip for anyone attempting a similarly stupid-but-cheap itinerary: in Beijing, you have to line up to get your passport stamped even if you’re transferring from one international flight to another and don’t leave the airport. It’s a long queue, maybe have a snack on hand? But don’t get caught out like the people ahead of me in line did — they got almost to the front of the hour-long queue before they discovered that since their connecting flight had a stopover in Shanghai, it was actually a domestic flight and they had to go to a completely different desk to get a Chinese entry stamp. This entry was posted in Australia and tagged australia, home, perth, summer, travel on December 28, 2014 by Where's Zoe Now?. I’m totally with you on the annual pilgrimage to Perth marking the turn of a new year. This is now the fourth year (ish) since I’ve lived there, and the fourth Christmas where I’ve done the ritual of “o hai everyone, I’m back!” The actual flight is not quite so momentous since I’m only coming from Melbourne, but the symbolism is there.